Sadee : She finally, finally, FINALLY learned to ride her Micro Mini Scooter. 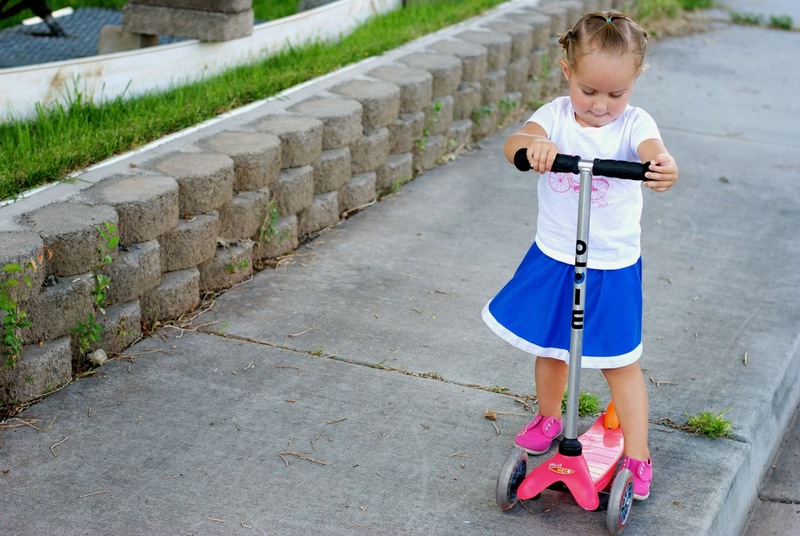 It's a little more tricky than other scooters, but she practiced and almost has it mastered. She loves going on walks around our cul-de-sac so she can bike or scooter. Two is a fun age, wouldn't you say? 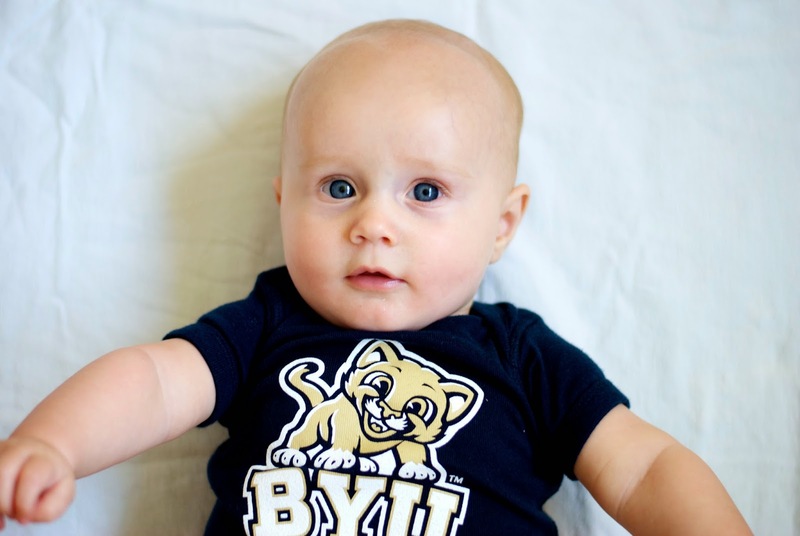 Cameron : He's all geared up for football season - Go Cougars! He's recently hit a curious stage - anything and everything catches his eye. He can't even make it through a feeding when people are around.